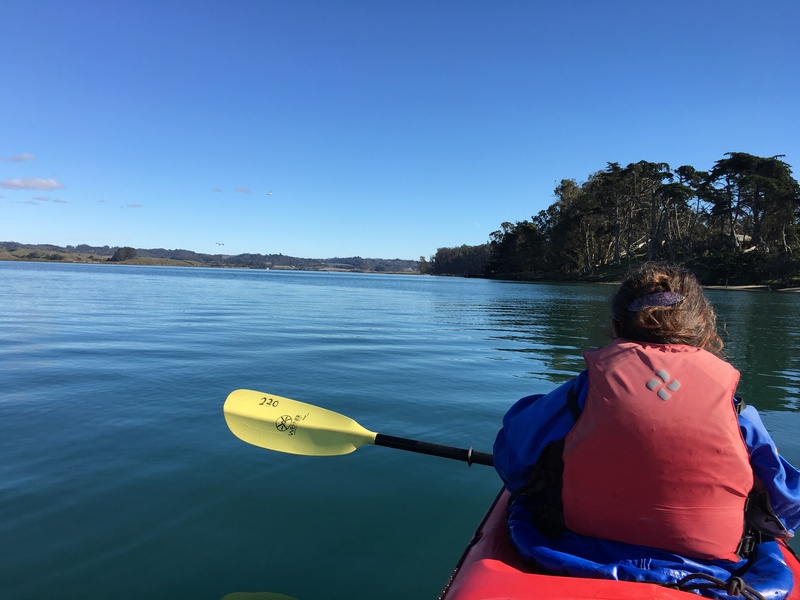 If you’re going Kayaking on the Elkhorn Slough, nobody goes to Marina. Maybe because it has always just been known as the military town adjacent to Fort Ord, not a vacation destination. 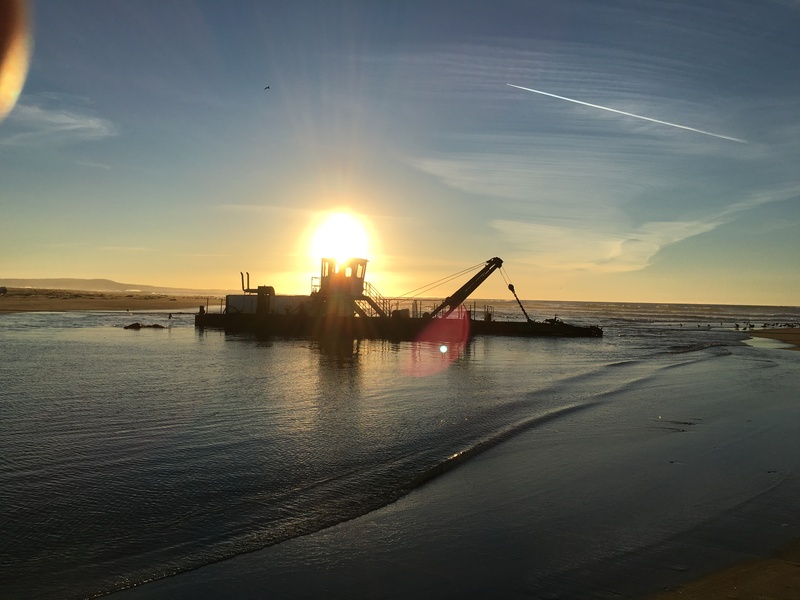 Closed in 1994, this massive military base occupies a five-mile stretch of the California Coast just north of Monterey and extends over 280,000 acres. 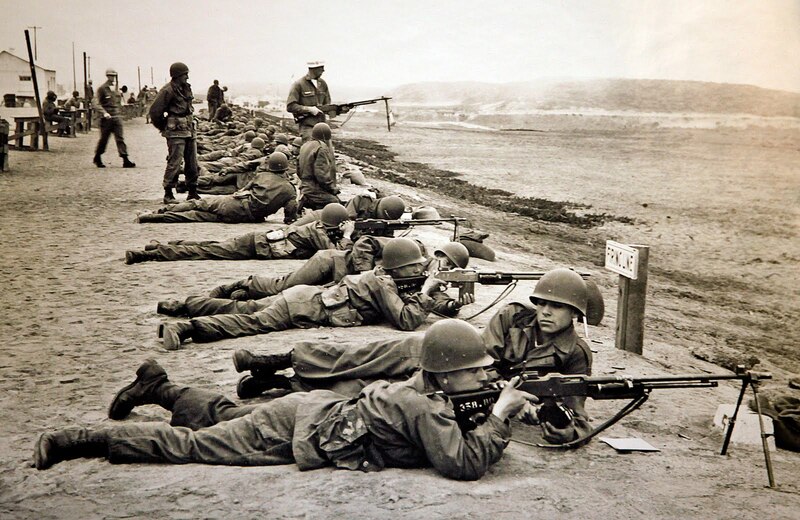 In its later years Fort Ord was a major base of the 7th Infantry Division used for basic training for thousands of US troops heading for Viet Nam. In the 60’s and 70’s I drove along the coast countless times in my VW bus sporting obligatory long hair and a beard. 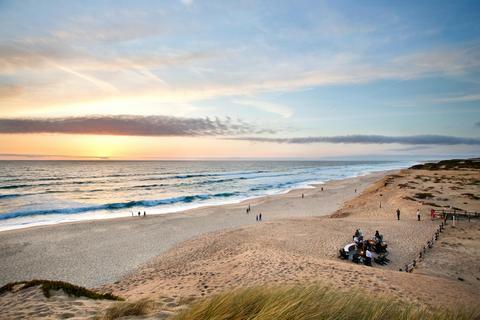 You could see the troops at the rifle ranges in the dunes and hear the shots from the road. It was an uncomfortable collision of competing cultures of the time. In contrast to earlier times when passers by most often had a feeling of pride at our strong military, many of us on the road had mixed feelings of distaste and anger at the military and an unjust war, mixed with pity for our comrades who were there, snared by the draft. I was recently describing this to a friend who did their basic training at Ord, and he said that they shared a reciprocal reproach and wistful jealousy at the free wheeling VW bus denizens. I am not sure just what fantastic adventures they thought we were up to but we certainly did try to meet their expectations. 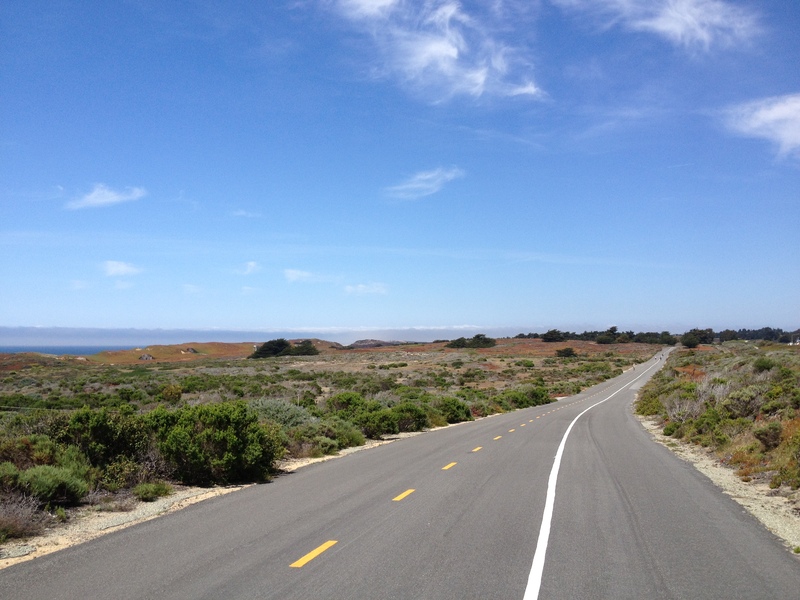 The site is now occupied by 10,000 acres of the Fort Ord National Monument. Only 4,000 acres are open, with the other still in the process or ordinance clearance. But on our first trip, in February, we splurged and stayed in Marina at The Sanctuary Beach Resort in a little cottage overlooking the sea and were tempted back the next December by a low season discount. It was still during the California drought, so the winter weather was wonderful. The special attraction is that they give each guest a golf cart. Cars are parked out of sight at the main lobby. Susan was our designated driver for the Grand Prix de Sanctuary. 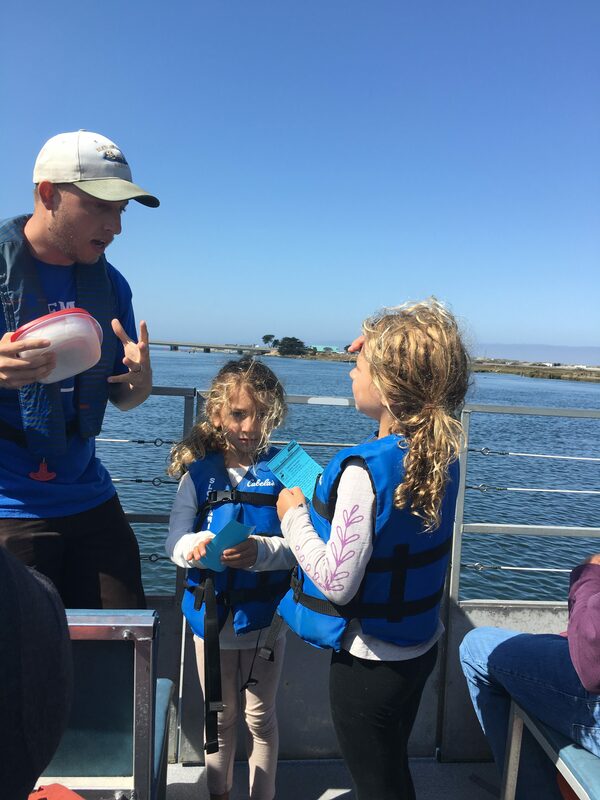 The following August, we took out two grand-daughters back for a long weekend to visit the Monterey Aquarium, the Elkhorn Slough and the beach at Sand City, known for sea glass, a favorite of the kids. This time we stayed at a below average Best Western Hotel across the street from the Sanctuary, no more than a place to sleep and precious little of that, sharing a room with a 5 and 7-year old. 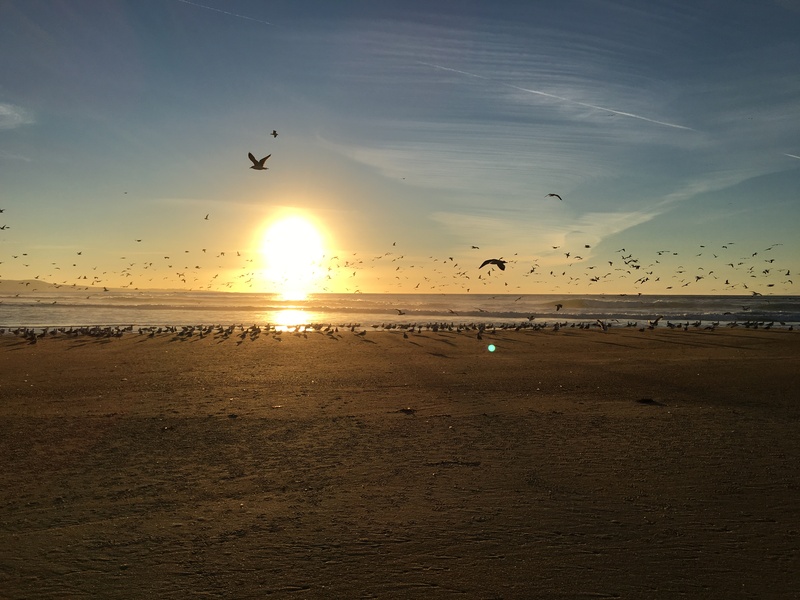 From the Marina State Beach, you can access a 12-mile stretch of untouched and almost deserted beach with huge dunes stretching from the mouth of the Salinas River in the north, past Marina and the length of the old Fort Ord to Sand City in the south. We rounded a bend and discovered a man-made inlet carved out of the coast by a sand dredging operation. On the way back we walked down the beach as the sun set; a quiet winter sunset. 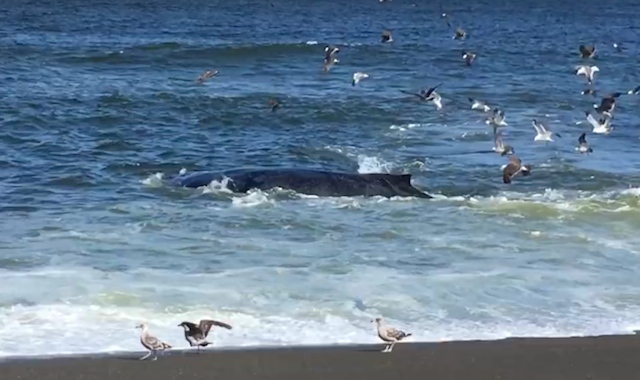 And as we neared our beach, a pod of humpback whales was feeding just 50 yards off the beach just beyond the breaker line. When we finally got back we stopped by a beach fire and enjoyed the last light of the sunset along the shore. Can you say more about this amazing California treat of seeing whales so close up and down the coast? It was exciting, but writing doesn’t capture that as well as the smiles on the faces and the whoops when a whale breached. There really aren’t many options. Even the Kula Ranch Restaurant adjacent to the Sanctuary closed and it was none to good when opened. Dishes Bistro and Grill, in town, was very good when we visited but has since closed. Like I said, nobody goes to Marina. Here is what we found. Horace wears baggy black pants with white strips and a black chef’s shirt over a white T-shirt. At first glance it looks like a clerical collar. When I made that comment, he immediately crossed himself and chanted, “In nomine Patris, et Filii, et Spiritus Sancti. A blessing on you both.” He continued, “As for confession, I am game if you are.” When I suggested that he might be shocked at my confession, he responded, “There isn’t anything that I haven’t’ done or at at least thought of doing.” He had been down this road before and I was more than happy to play his straight man. Tico’s – As a little change-up from Coffee Mia, Tiko’s is a small breakfast and lunch café with good solid food and interesting specials. 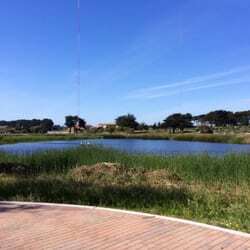 Michael’s Grill and Taqueria – There may not be anything special about Michael’s but we had been hiking at Fort Ord for hours and were ravenous. As we passed through town, saw their sign and were delighted with our burrito and a beer, sitting at the outdoor table. The young men who served us were delightful and friendly. 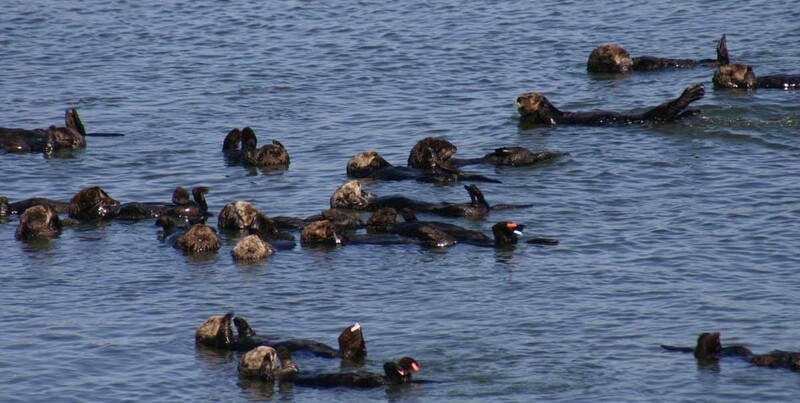 The real compelling reason to visit is the Elkhorn Slough. What is a Slough? 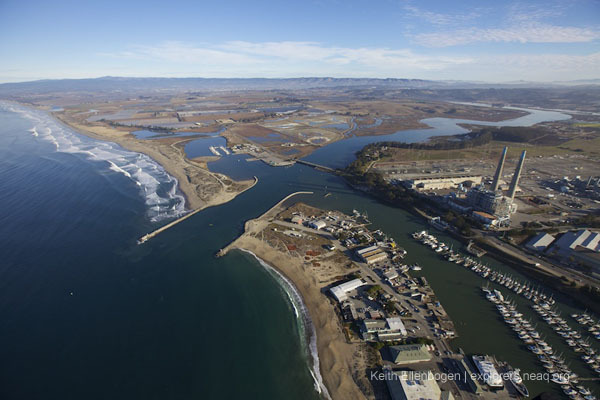 While many bodies of water or damp places can be called a slough, the Elkhorn Slough is one on the most notable slough systems in the Western United States if not the nation and certainly worth a stop or a day or two. Renting a kayak and gliding up the slough is a great experience and the best way to get an up close look at the area wildlife. I want to repeat this. 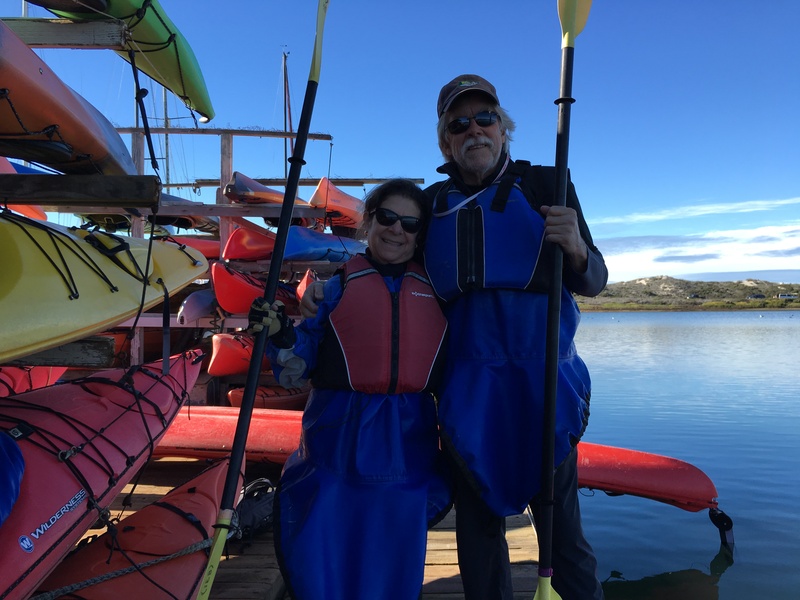 It really is a wonderful outing, on the water under the soft California sky and all the wildlife, especially entrancing if you have never been up close to those wonderful sea otters. We used Kayak Connection right on Highway 1 south of the bridge. You can go solo or with a group so it works for any experience level. It’s about a 3-hour event, or more if you linger on the water. 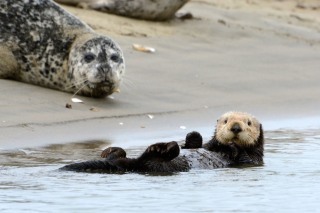 You’ll see a fabulous variety birds, gangs of sea otters, seals and sea lions and more. If you can manage pick a morning when you start off with a flood tide (current going in) and end with an ebb tide (current going out). The trip will be easiest. The other way around involves a lot of paddling. Check the tide table. 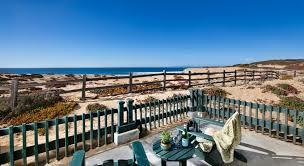 The wind is usually calmer in the morning and usually fills from the West in the afternoon. You don’t have to go far. We saw seals and otters just off the dock. There are no toilet options once you leave the dock. And all they have at the rental site is a porta-potty, so plan ahead. Once you are on the water you can’t get out of the boat or even easily remove or add a jacket. In addition to whatever you are wearing, you will don a spray skirt which hangs on your shoulders like overalls and goes down an attaches to the opening of the kayak. Everything below that is covered and out of the wind and water. Then you will have a close fitting pfd (personal floatation device). Which is different than the better-known pdf (portable document format). Those two keep you pretty warm and dry. During the three hours of the trip you can go from cold fog to hot sun and then back to sunny but cold stiff breeze. As we always say in California, dress in layers. Ask advice on what clothes to wear. You will probably stay dry inside the boat so shoes are OK, and especially good if you are using the rudder. If you have planned ahead enough to bring sports gloves that can get wet, they aren’t a bad idea, but not essential. Kayaking can be tough if you have a bad back, so arrange back protection while you are at the dock. There isn’t much you can do once you are on the water. Tell them when you rent and they will help. Wear a hat and put on sunscreen. You should pack some water, especially on a hot day. Cameras, or a cell phone are a great idea but in danger of getting wet, a waterproof bag is a great idea. They may even one for you to use. Or just sit back and let the impressions of the scene burn themselves into your memory. No camera necessary. As we were neared the dock after a great ride, we heard the plaintive cry of a child whose family had just left the dock in their kayak. “I want to go back in!” This is a wonderful trip– until it isn’t. 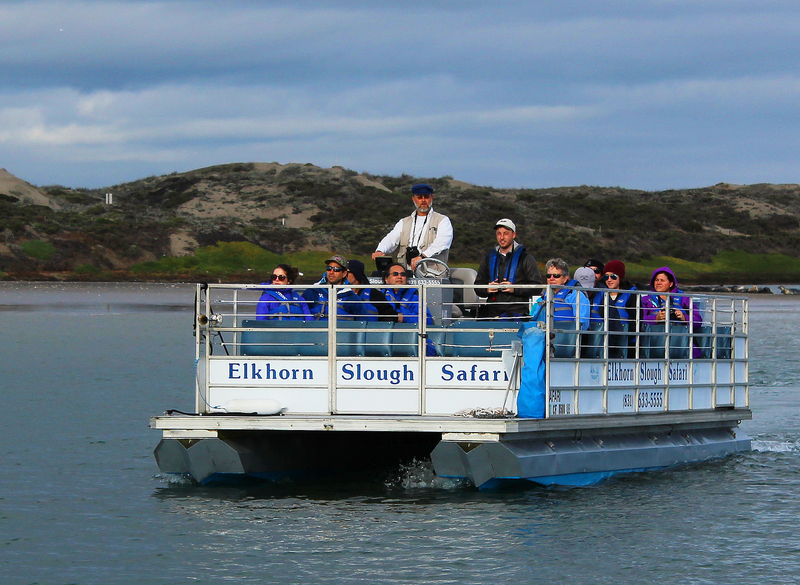 With that crying child in mind when we took our grandchildren 5 & 7 to visit the slough, we booked a ride on Elkhhorn Slough Safari. It was a two-hour gliding ride on a pontoon boat with a knowledgeable guide. We brought water and the kids could move around. On the ride back the 7-year old, instead of gazing at the sea birds became obsessed with the flies, putting out pieces of cookie and watching them land. Yes, she is one strange delight.